Albany Lodge | Hospitals | Out of Sight, Out of Mind? 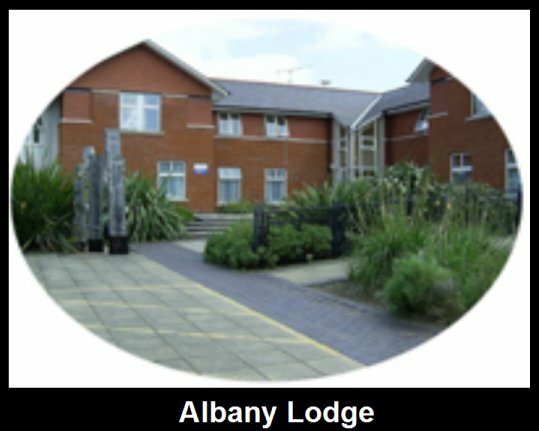 Albany Lodge is a modern psychiatric unit based in St Albans. Each patient has their own room, some ensuite. (I was there for a few days whilst my lithium medication was reviewed.) It replaced the in-patient care of Hill End Hospital that closed in the late 1990s. The site was previously an annexe to St Albans General Hospital, and was also the location of Mentmore Ward which I believe may now be, or was previously, the home of patient records. Albany Lodge also houses the electro-convulsive therapy (ECT) machine, which is rumoured to be under consideration for transfer to Stevenage. Whilst on the subject of psychiatric care in St Albans, it is not well known that there were three psychiatric wards in St Albans City Hospital. As far as I know, they are all closed now. There was St Julian’s ward for in-patient care and two secure units – Abbey View and Deacon. These three wards were discreet, and apart from staff and patients, not many people were aware of them. I was a patient on St Julian’s ward for a few days. Patients on the secure wards were sometimes permitted to walk outside for fifteen minutes a day, when escorted by a member of staff, but many patients complained that often no member of staff was available. It may be of interest to know that the upstairs of Mentmore Ward on the site of Albany Lodge, as mentioned above, was used as the Hill End Day hospital. I used the Day hospital as a stepping stone from being an in-patient at Hill End, to independent full-time employment. It featured many activities such as board games, art therapy, yoga, relaxation and conversation. Whilst there, I organised a trip to Tring museum. The National Health Service Day Centre in St Albans eventually replaced the Hill End Day hospital. I am most grateful for the psychiatric care I have received from the NHS during the past 24 years. I might grumble a bit from time to time, but I know where I am well off. The past was grim, but with the developments of the 21st Century there are bright prospects for many psychiatric patients. I would like to take this opportunity to thank the people, both professionals and volunteers, who encouraged me to take advantage of the treatments offered, that have enhanced my generally good health. Terrible place. Worse than jail. Little stimulation, dirty courtyard, microwaved food, abusive staff, horrible psychiatrists. I even escaped. Place needs to be shut. I totally agree with the last comments as I was there recently. I feel this place should be shut down. I was left totally vulnerable – no feedback from staff. Totally did not help or understand my situation whatsoever…I was discharged to my flat in the pouring rain with no keys which staff were aware of. A patient threatened to hit me and another patient stepped in, not staff. Whilst there, they never got my medication right. I went crazy and started banging my head for 45 mins before a member of staff found me. I had a panic attack again 30mins – was outside, no staff member came out. Only when I said I would report them to the care and quality commission, they only slightly improved. They also left me without food for 72 hours, changed medication without my consent. I wouldn’t wish this place on my worst enemy…. I was pleased to hear such positive feedback regarding Albany Lodge. I have been admitted twice to this facility and unfortunately didn’t have such a good experience. There were no group activities, counselling or any type of therapy. I was given the incorrect medication and some of the staff were incompetent and unkind. I am aware that the mental health services are suffering greatly financially, but these hospitals need to be monitored more and made a priority.